Every human being is named so as to be indentified among the society due to the every man is being born with the same physical shape. In spite of having the slight differences in the colour, height and weight every man is almost identical with another. Therefore to be identified one in so many everybody is being given any identity names such as John, Jorge, David, Michel etc., whatever they wish to be called. But is there the multitude of Gods just as the so many human beings are there on this globe consisting with the same physical shape? Answer is obviously no. The creator God Himself proclaims the same in the flowing corroborative verses of Quran and Bible. According to the above verses it is well understood that there is none besides the Creator God. If this be the fact then what would be the need to Him to have any specific name just as the man? Because Creator God is not one among the so many Gods. If there are so many Gods besides the Creator God then it is inevitable to have any particular name to the Creator God to be identified one among so many Gods. DOES THE CREATOR GOD POSSESS ANY PARTICULAR NAME? What the contention of the present day preachers is that the name of God of the Bible is only YHWA or Yahweh. This can be considered to be His everlasting name according to Exodus 3:15 in which God has introduced His name Yahweh and proclaimed “This is my name forever.” Therefore whoever it may be one should call His name by Yahweh only. We will know what was the actual background of the names Yahweh and Jehovah in the forth coming topics but mean while let us understand some another important points as here under. 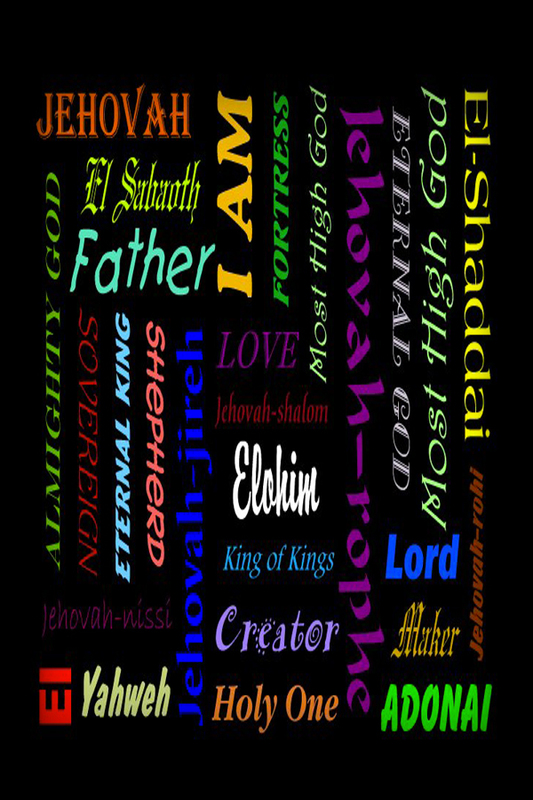 THE CREATOR GOD HAS INTRODUCED HIMSELF WITH THE SO MANY ATTRIBUTIVE NAMES IN THE RESPECTIVE LANGUAGES OF THE PEOPLE! According to the above verse it is made clear that the Creator God had introduced Himself by the name of God almighty which is EL in Hebrew right from the beginning but he did not introduce Himself by the name “Jehovah”. This is to mean as the people who lived between the times of Adam to Moses they did not know the name Yahweh or Jehovah besides EL. By this, it can be well ascertained that the Creator God has Himself introduced with the so many names in all ages. What more important to note is that even though the Creator God has proclaimed in Exodus 3:15 saying “This is my name everlasting” He introduced Himself with the so many attributive names which can be seen in the following verses. “YAWH” (YAHWEH) IS NOTHING BUT “AL HAYU” IN ARABIC. 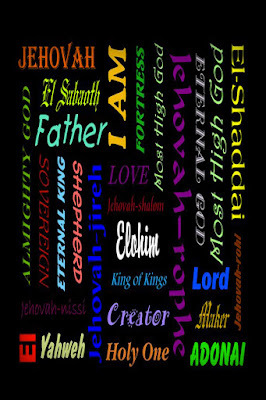 Those that argue as saying that God’s personal name is only “Yahweh” so one should call Him with this name only they should understand that- Yahweh is nothing but the one of the so many attributive names of the Creator God which stands to mean as “Everlasting God” but not mere an identity name just as David, John or Peter etc., We can see the same attribute of God that “Yahweh” in Quran in Arabic language to be “Al-Hayu” (2:255). “YAHWEH” “ALLAH” “ELOH” “ELI” “JEHOVAH” ARE THE NAMES BELOG TO THE SEMITIC LANGUAGES! Those that argue saying Allah and Jehovah are the two separate Gods and two separate entities they should understand that Allah, Eloh, Eli, Yahweh, Jehovah are the names belong to the Semitic languages. (SEMITIC LANGUAGE: a language that belongs to a subfamily of the Afro-Asiatic language family including Hebrew, Aramaic, Arabic, and Ethiopic). Aramaic, Arabic and Hebrew languages are not only regarded to be Semitic languages but also can be regarded as sister languages to mean as which appears to be very identical in writing, pronunciation. The best example for this is that God who had been introduced by name Jehovah or Yahweh had been introduced by name Allah in Aramaic and Arabic languages. The Word “Eloh” can be seen as “Elahi” in Arabic. Thus according to the so far analysis it is made clear that the Creator God not possesses any particular identity name like Jehovah or Yahweh such as man but He has so many attributive names in Quran and Bible. And Jehovah is the word belongs to Hebrew and Allah is the word belongs to Aramaic and Arabic languages. 0 Response to "Whether the Creator God has “a Particular identity name?” Or “so many attributive names?”"